What is the Minivol TAS? What kinds of monitoring can the MiniVol do? 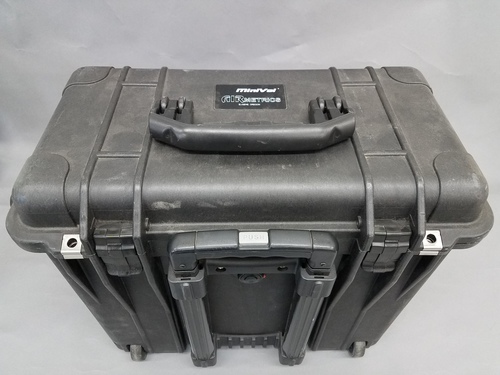 The MiniVol Tactical Air Sampler is a low-volume, battery powered, filter-based Particulate Matter (PM) sampler developed by Airmetrics. In filter-based samplers, size-sorted particles are captured on a filter that is then weighed ('gravimetric analysis') to determine the concentration of particulate matter in the air pumped through the monitor (see more in the wiki). 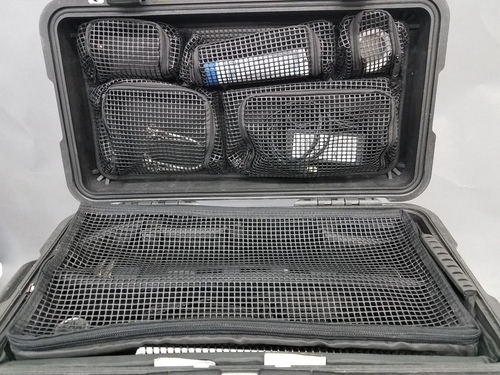 The MiniVol is designed for 24-hour samples that correspond with Federal Reference Method (FRM) monitors, but due to their lower air volume are not considered FRM-grade. Public Lab has two MiniVols that can be loaned out for monitoring. Clockwise from top: Minivol, PM2.5 impactor, PM10 impactor, manual, battery pack. 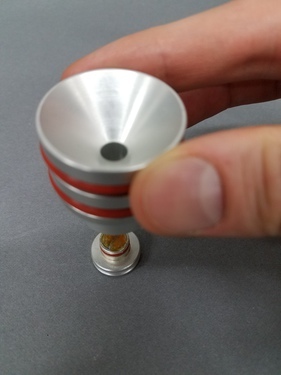 Because the MiniVol uses filters and an impactor, it must have the grease on its impactor plate replaced and cleaned every five sample periods, and it requires a new filter for every sample. The MiniVol usually collects Particulate Matter (PM) on a filter for analysis. 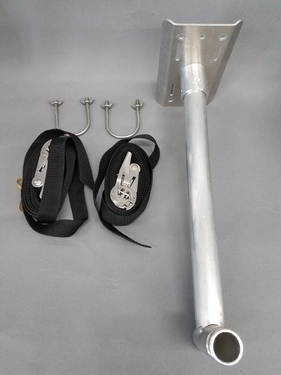 Tedlar bags can also be attached and used to collect gasses as well. The MiniVol is designed for monitoring PM10 or PM2.5 over 24 hours. It cannot measure both PM10 and PM2.5 at the same time. Filters may be subjected to different types of analysis to speciate (identify) what the PM is made of. 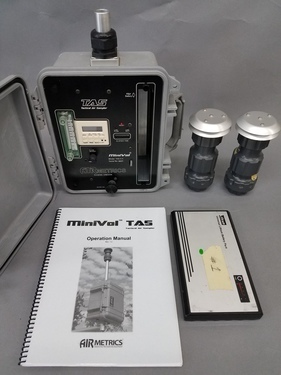 The MiniVol samples a smaller volume of air than a Federal Reference Method monitor and has the best correspondence with FRMs at moderate-high PM concentrations. 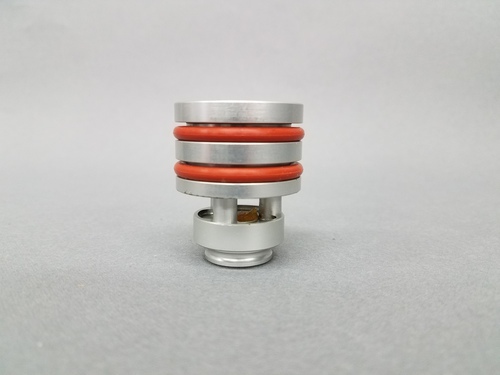 Gravimetric -- Gravimetric analysis yields information about the total mass of particulates captured on the filter. Combined with the information about the volume of air that was sampled in order to collect those particles (which is determined using the pumping rate and the sampling time), gravimetric analyses provide information about the concentration of particulate matter in the air sampled. These results will be provided in mass per volume units-- usually micrograms per cubic meter of air-- and are comparable to national ambient air quality standards for particulate matter. Please note that the MiniVol can’t be used to conduct NAAQS enforceable monitoring, but the data types produced can be compared. Gravimetric analyses do not provide information about the composition of particles collected. X-ray fluorescence -- X-ray fluorescence (XRF) analysis provides information about the elemental composition of the sample collected. This technique is useful if you want to know, for example, the total lead concentration but don’t need to know the speciation molecular form of it. For XRF, the sample is usually melted to create a homogeneous mixture. An x-ray beam is targeted at the melted sample, and its energy is absorbed by the sample, with various atoms becoming excited and kicking electrons to higher valence orbitals. Each atom has a characteristic energy associated with its excitation, and its relaxation. The energy of a sample’s relaxation is measured during XRF, and software is used to disambiguate the combination of elements that created that spectrum. XRF analysis can provide the concentration of various elements in a sample, though it cannot provide information about minerals. Labs can assess the silicon concentration alone, or provide information about a suite of metals. Note that silicon is the second most common element in Earth’s crust, so it is not likely to be a useful assessment if trying to determine a unique source contribution. Ratios of metals concentrations can often, though not always, yield information about particulate matter provenance. Metals concentrations may be more useful to provide a foundation for further risk assessment. X-ray diffraction -- X-ray diffraction (XRD) analysis can provide information about the mineral structures in the sample collected. This technique is useful if you are interested in learning about the minerals and inorganic components of a sample, such as various types of crystalline silica. 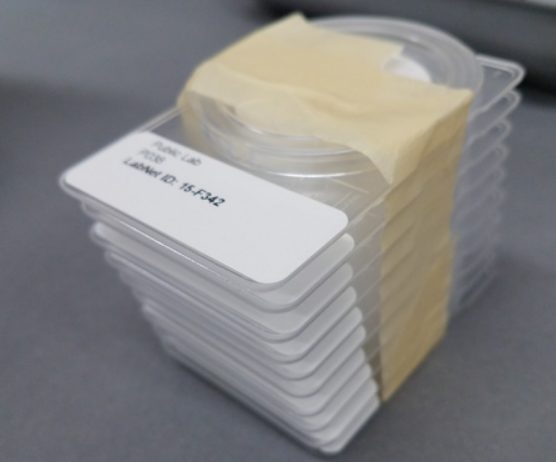 To conduct XRD analyses, a sample is ground into a fine powder, but not melted as it would be for XRF. In XRD, the sample powder is exposed to an incident x-ray beam, and resulting diffracted x-rays are their intensity is measured. Each crystalline lattice structure has characteristic molecular orbital spacing and orientation, which dictate the wavelength and directionality of resulting x-rays. Thus, minerals present in the sample can be uniquely identified by measuring the compilation of resulting x-rays. Labs commonly quantify the quartz present in a sample, as quartz is one of the most common minerals in Earth’s crust. Many labs can also quantify other forms of silica, including cristobalite and tridymite. Cristobalite and tridymite are both polymorphs of silica that form under high-temperature and are present in volcanic rocks. All three minerals (quartz, cristobalite, and tridymite) can be present in particles less than 4 micrometers in diameter and be considered respirable crystalline silica. Quartz is significantly more abundant than cristobalite or tridymite in most environments, and may comprise the majority of respirable crystalline silica in most samples. Filters may be subject to several different types of analysis. Different analysis procedures require different types of filters, and the analysis procedure must be decided ahead of time. Gravimetric analysis (weighing the filter) is the most basic analysis to which other procedures are added. Prices quoted here are estimates and do not reflect actual lab prices. how is the MiniVol used? To deploy a MiniVol requires several steps outlined in the activities below. The MiniVol requires maintenance: once-yearly calibration and a cleaning every five sampling periods. To deploy the MiniVol in the field requires identifying a monitoring site and installation location, pre-deployment preparation, deployment, and analysis of laboratory results. Many calculations in the activities require calculations. All equations in the MiniVol manual are implemented in the Open Document Format spreadsheet MiniVol Calibration. Versions of this spreadsheet updated with the current calibration specific to each MiniVol are available on their equipment wiki pages (below in Lending). The Field Data Sheet is used to record PM readings. Help out -- look at the activities below to learn how to try these techniques out, and the questions section for some of our as-yet unsolved challenges. Post your own questions to help flesh out this documentation.